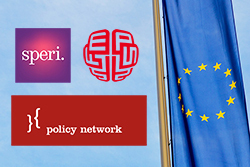 On Wednesday 11 October, the final workshop in the Diverging Capitalisms project – a SPERI collaboration with the Foundation of European Progressive Studies and Policy Network – will take place in Brussels. Scholars and policy practitioners will congregate to debate the future of social democracy in the context of a fragmenting Europe, rising inequality and the evolving foundations of European competitiveness. Dr. Laura Horn (Roskilde University) and Dr. Angela Wigger (Radboud University) will present their analysis of the development of EU industrial policy and its political and economic consequences for European social democracy and competitiveness. Jakob von Weizsäcker MEP (Group of the Progressive Alliance of Socialists and Democrats in the European Parliament) and Sandra Parthie (Head of European Affairs, Institut der Deutschen Wirtschaft Köln) will participate in the session as discussant and chair respectively. Prof. Ben Clift (University of Warwick) will present his research on the Bretton Woods institutions and argue for a post-national form of social democracy led by those supranational institutions in order to fend off further rises in inequality. Dr. Amandine Crespy (Université Libre de Bruxelles) will act as Ben’s discussant, and Lisa Kastner (FEPS) will chair the session. The workshop will end with the concluding thoughts of the SPERI, FEPS and Policy Network teams about the findings of the Diverging Capitalisms project overall. SPERI Co-Director, Prof. Colin Hay, will be joined on the panel by FEPS Secretary General Ernst Stetter and Policy Network’s Dr. Patrick Diamond, in order to reflect upon the changing nature of the British and European economies, the consequences of economic and national fragmentation, and the progressive paths forward from here.